OSHKOSH, WI--(Marketwired - November 07, 2016) - uBreakiFix opens in Oshkosh on Nov. 7 at 1010 S. Koeller St. The growing technology repair brand specializes in same-day repair service of all electronics -- from phones, tablets and computers, to drones, hover boards and game consoles. Led by millennial entrepreneur Justin Wetherill, uBreakiFix services all brands of electronics, repairing cracked screens, water damage, software issues, camera issues and most other technical problems at its more than 250 stores across North America. uBreakiFix Oshkosh is the fifth location for owners Tim and Kim VenHaus, who also own stores in Appleton, Madison, East Madison and Green Bay. The couple is excited to continue expanding the brand in the area and provide services for consumers with a variety of tech repair needs. "Oshkosh is a great city with the potential for a lot of growth," Tim said. "I think this store's location will be a lot more convenient for technology users who need our services. We're excited to become a trusted repair brand in the Oshkosh area." uBreakiFix was founded in 2009 by millennial duo Justin Wetherill and David Reiff, who later partnered with Eddie Trujillo to take their Internet-based brand brick and mortar. By reconciling quality tech repair with exceptional customer service, the brand has filled a niche in the marketplace and grown organically without debt, investors or consultants. uBreakiFix Oshkosh is the brand's second location in the Appleton area, joining uBreakiFix Appleton. "Even as we grow, customer satisfaction remains our number one priority," said uBreakiFix CEO and founder Justin Wetherill. "We look forward to answering the Oshkosh community's tech needs with the quality repair service and exceptional customer experience that consumers have come to expect." uBreakiFix Oshkosh is located at 1010 S Koeller St., Oshkosh, WI 54902 and can be reached at: 920-479-1716. For more information and to view a service menu, visit ubreakifix.com. 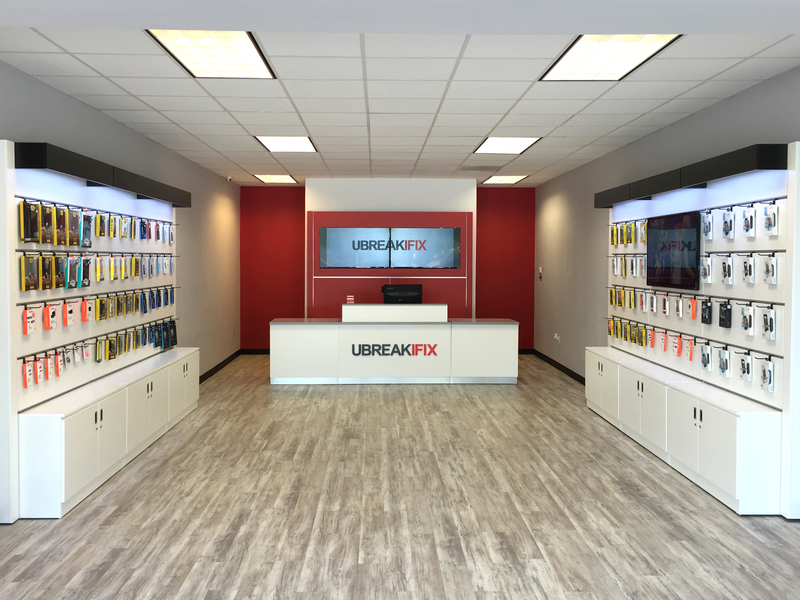 ​uBreakiFix specializes in same-day repair service of small electronics, repairing cracked screens, water damage, software issues, camera issues and other technical problems at its more than 250 stores across North America.